Your child’s spinal health is very important to their development. Not just because of the mechanical aspects of the spine and posture, but also because of what the spine protects – The Nervous System. Proper development and function requires 100 percent function of that nervous system. Commonly baby gear affects this function by compromising spinal health unknowingly. -Baby walkers don’t help children learn to walk and actually delay motor and mental development according to the American Academy of Pediatrics. -Forcing the spine into positions it is not prepared for will compromise the child’s spinal health. This goes for bouncy chairs as well! -Speeding past the important developmental skill of crawling will reduce the child’s spinal health and development. 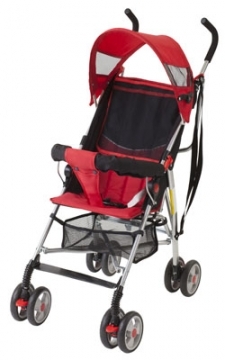 -There is a high concern with falls from strollers, rocking cradles, high chairs, and the previously mentioned bouncy chairs and walkers. Falling and getting back up is important for children to learn and develop, but we need to minimize the risky falls. -When falls occur or the spine is subject to stress it is important to get your child checked by your Optimum Health team to ensure that they maintain their greatest potential to thrive in life. -It is through this approach that we continue to develop our confidence that our Erin Mills Optimum Health Kids can live a health, happy, and abundant life.